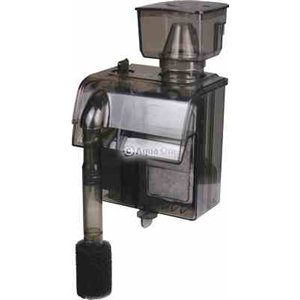 NanoSkim Protein Skimmers are designed to easily and effectively remove organic waste from aquarium water. The included limewood airstone creates a high density of small bubbles to provide good interaction between the air and water resulting in a high quality skim. The hang-on style is easily mounted to most aquariums without the need for a sump and without occupying a large space. Includes a carbon cartridge for secondary beneficiary chemical filtration and to help prevent microbubbles from entering the aquarium. Complete with the manufacturers 2+1 year warranty and instruction manuals. All replacement and spare parts are also available.